Galway City all set for Bonham Docks? In April 2017 well known Galway City developer Gerry Barrett announced his plans to develop a new urban quarter to be located at the old Topaz oil tanks site located at Galway Docks. This is a very welcome boost for Galway City which for a time looked as though it might fall considerably behind both Cork and Dublin which are becoming increasingly popular locations for technology companies in Ireland. Cork recently announced a €1bn project ("Time Square Development Project") with the aim of regenerating Cork's docklands. That is also bound to attract both indigenous and foreign companies to set up bases in Cork, as an alternative option to Dublin as a venue for tech companies to establish themselves. 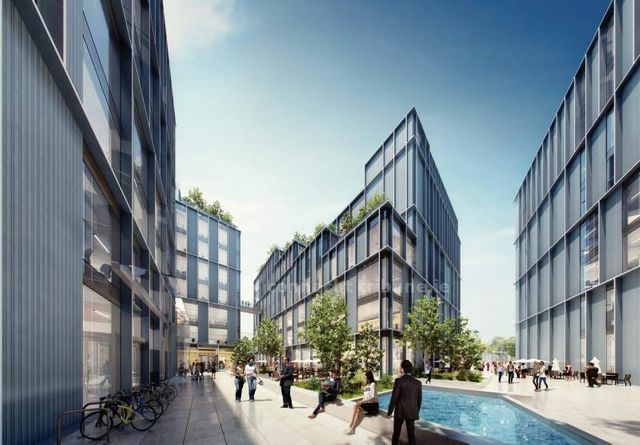 The proposed Bonham Docks is a €100 million facility overlooking Galway Docks that will include four top-end office blocks, extending to 26,000sq m (279,850sq ft), as well as 2,005sq m (21,581sq ft) of retail space spread over the four buildings. High end facilities such as this is something which Galway is badly lacking and so the proposed Bonham Docks is a timely announcement. However, Bonham Docks is not the solution to all of the hurdles facing Galway as an attractive venue for tech companies. In order to attract talented staff to work at such companies there are a number of important elements that need to be satisfied. There needs to be city centre accommodation of a high standard, good public transport within the city and easily accessible international travel options. Currently, Galway is lacking on all of these. Quality accommodation int the city is lacking, traffic is a well documented problem for Galway City and it has no airport. This is not to say that Galway needs all of these things immediately to attract tech companies, but it needs a strategic vision to work towards, and all of these should form important parts of that vision. The Galway Chamber of Commerce and the city's retailers also need to come together and work on making the city an attractive place for new people to want to come and live with their families. The IDA are marketing the Bonham Docks project already. However, the IDA too need to look at encouraging improvements to the city's infrastructure to ensure Galway is an attractive option for foreign companies seeking a base in Ireland. With Brexit unfolding there are likely to be great opportunities for Ireland as companies seek to establish bases here, and Ireland needs to be able to offer more than simply Dublin as a city to set up shop. We need Cork and Galway to have legitimate offerings also so that Ireland can benefit to the greatest extent from any future opportunities.